You're going to love this interview. Megan speaks from the heart and isn't afraid to tell it like it is - which, as you know by now, I applaud in my interviewees. 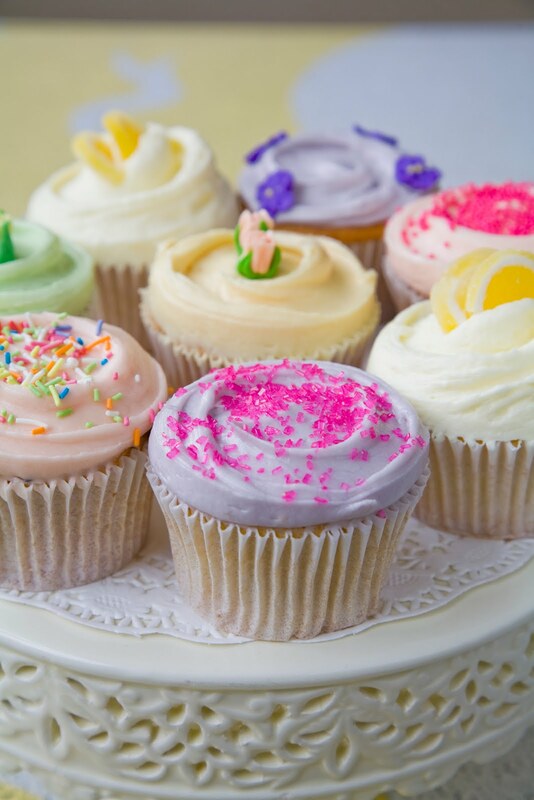 Sit back with a cup of Earl Grey or a Margarita, pull up a cupcake, and enjoy ! Mondays are our day off, and so usually I start thinking about mopping my floors or some other type of cleaning chore. I am totally a morning person, and also love cleaning- or maybe more importantly, hate dirt. I was very much looking forward to dancing Serenade. I just got to debut with the company as the Russian girl. I have never been a part of the corps in that ballet, or a Principal role, so it was really a special thing for me to be a part of that cast. It is such a spiritual ballet and it was almost like a rite of passage for me to get to do that. Jenny Ringer and I stand onstage with the corps in the blue light when the music starts (while the curtain is still down). The lighting is unbelievable and it really is a spiritual experience standing onstage with all of those corps women and hearing that music. That was a moment I will never forget. I don't really have anyone I would hope to dance with. I enjoy all of my partners at City Ballet and actually all of the ballets I get to dance. Sorry, that is a very boring answer, but true. I would love to dance in Athens in the Amphitheatre overlooking the Acropolis. City Ballet did a tour there right before I joined the company and everyone always talks about what a special experience it was to dance there in the open air at night. Well, I sew Bunheads flexor ribbons each side of the shoe and wide elastic that attaches at each side of my heel. I use thick thread from the craft store so I only have to do 5 stitches to attach each thing. Then I step on the box, break the shank by bending it where I know my arch is in the shoe. If the ballet has a lot of running at the beginning, I usually bang the toes of the shoe on a cement wall so that they aren't as noisy. I love wearing brand new shoes for shows. I don't remember the last time I wore a used pair onstage. I scrape up the bottom of the shank with a shoe scraper, and then dust rosin on the satin around my toes so I don't slip. Well, I just moved into a house in Westchester County, NY and also got a puppy at the same time. (So I have 2 basset hounds: one 6 months and one 6 years old.) They usually wake me up at like 7 AM. I take them outside, start the coffee, make a protein shake. I love watching the Today show for at least 1/2 hour in the morning. Then drive to the city, and take class with the company. I usually only have 1 or 2 rehearsals, and if I have time in between I go to the gym on an easy day and swim, or go to Pilates. If I don't have the show, I go home and take care of my dogs and house. I love watching 24 on Netflix or I work on schoolwork. I am going to Fordham part-time, and hoping to major in math. I am still getting used to everything you need to do to keep a house in order, as opposed to living in a small apartment, and so I am spending a lot of time organizing, decorating, doing yard work and training my puppy. Queen Rania of Jordan-- I saw her on Oprah once and think she is so beautiful and so wise. Meredith Vieira-- I hear she lives in my town and I also just love her on the Today Show. She is so classy, and knows how to have a good time. Ellen Degeneres-- I watch her Here and Now stand-up as much as possible. I don't let people mess around with me, and am surprisingly not afraid to speak my mind. Sometimes I wish I could put a filter on my mouth. I say exactly what I am thinking. Actually, the dancers of Ballet West in Salt Lake City, UT. That is where I am from, and grew up watching them since I was 8 and first saw the Nutcracker. 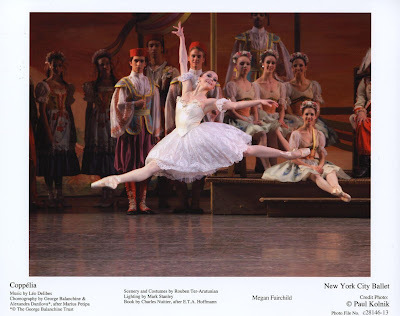 Most people in our company say someone from ABT or NYCB, but I was kind of sheltered in Utah. I didn't know about the big companies and really looked up to my hometown dancers. 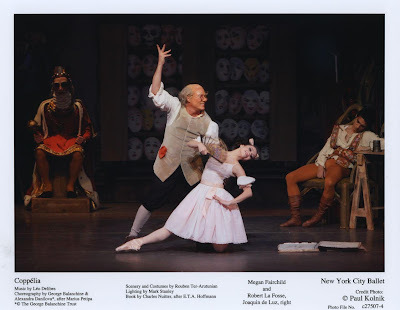 They really were beautiful, and during the John Hart years at Ballet West there were some gorgeous ballerinas. I never watched videos of Misha and Gelsey, never watched the Balanchine tapes. I really just knew of Ballet West and San Francisco Ballet. Oh, I would have to say not to compare yourself to others because we are all so unique and we all have something very different to offer. I say this because it is a struggle of mine. I try not to compare myself to others, but focus on being my very best. That means keeping my body in its best shape, and working as hard as I can in class on my technique and pushing myself in rehearsals to take risks I normally wouldn't want to take. I usually start getting ready about 2 hours before I go onstage. I have a good snack like a banana and yogurt, or a Zone bar, and lately I have been taking an energy drink which has been making me feel much more present at 8 PM than I usually am. I turn my radio on to Classic Rock, sew a pair of shoes for the show, then do my hair, which often includes adding some fake hair, since my hair is short. Then I plaster on all the makeup which usually takes 20-30 minutes. I go down to the stage level to do a barre, but I usually only warm-up to ronde jambes. Then 20 minutes before I go on stage I break in the shoes, and put my costume on. I like to try a couple steps out onstage before the ballet starts, but not too many so I don't make myself nervous. Also I always have to preset a water bottle and a bottle of glue for my pointe shoes, in case I feel like mid-show they are starting to die. Definitely Theme and Variations. I did it for the first time when I was 21, and had just been promoted to Principal. At that age, when I was nervous to do a new role I would say to myself, "Hey, at least it's not Theme and Variations." Then I got cast in it, and the ballet I had made out to be a big scary monster, became a reality of mine. It took me a lot of crying and therapy to realize that that kind of ballet is what I am best at, and that it is totally possible and achievable. I battled really low self-confidence when I was first in the company, and I did a lot of hard things right away, so it was a huge struggle and hurdle for me to believe that I deserved to do the ballets I was getting the opportunity to do. Kudos to my boyfriend who helped me believe in myself! He has always been my biggest fan, and has helped me become the confident person I am today. I have no idea. Definitely a tutu I think. They are so special. Nothing makes me feel more like a true ballerina. Someone who is willing to work as hard as I am, and also willing to compromise a little with me. I think it is important to be able to talk certain technical moments out, so both people feel comfortable in a difficult step. Also someone that can brush off a bad show, and still give me a hug afterwards. I hate when guys just walk away because they are mad about how their own dancing went. I am not sure if this is an official Balanchine quote, but our ballet mistress is always telling me he used to say "What are you saving it for?" in order to get more out of his dancers. In our company it is always about dancing the choreography to its fullest - travelling a lot and dancing as big and impressive as possible. I love to turn slowly. I guess that is not always a good thing. Also I love, love, love to do sauté, step, jeté battu. We do it in a lot of Balanchine ballets and I love jumping high there. Hmm....I would say getting to dance Square Dance with Nikolaj Hübbe for his last time in the role. Being able to dance with someone as great as him, for his last show of a ballet was incredibly special. I can kickbox really well. I used to take a kickboxing class with real gloves and bags, and my sidekick makes a huge cracking noise on the bag. I am pretty proud of that. I secretly loved surprising people in the class. I look like a little girl, but I would rip into the bag harder than anyone in the class. I would like to be busier. I have a pretty easy schedule now, and I know these are prime years when you should be pushing yourself really hard. I would hope to do more than 1 or 2 ballets a week - which I guess means developing a wider repertory. I love this interview! I am in SLC right now and Ballet West is definitely a beautiful company to watch. And I love how she goes to the gym and swims and does pilates. Cross training is so important. Very inspiring. Oh a tutu! When I was little I use to dress up in tutu's that belonged to my godmother, she use to teach dance. I never did master the art I am afraid! I loved this interview. She seems so open and down to earth, but on stage I bet she is magical. What a great interview, I loved the questions and I was really impressed by her honesty. She really is inspiring. I bet you have so much fun doing these interviews! Gorgeous pics and interview, darling! Really interesting about the shoes! Fantastic interview! I love the fact she can kickbox and her celebrity dinner guest list is very cool. Definitely sounds like an interesting and intelligent woman! C'est La Vie - it's not work when you love it ! Lyn - thank you ! Createology - hello and a very earm welcome. Lovely to see you here. Haute World - true !